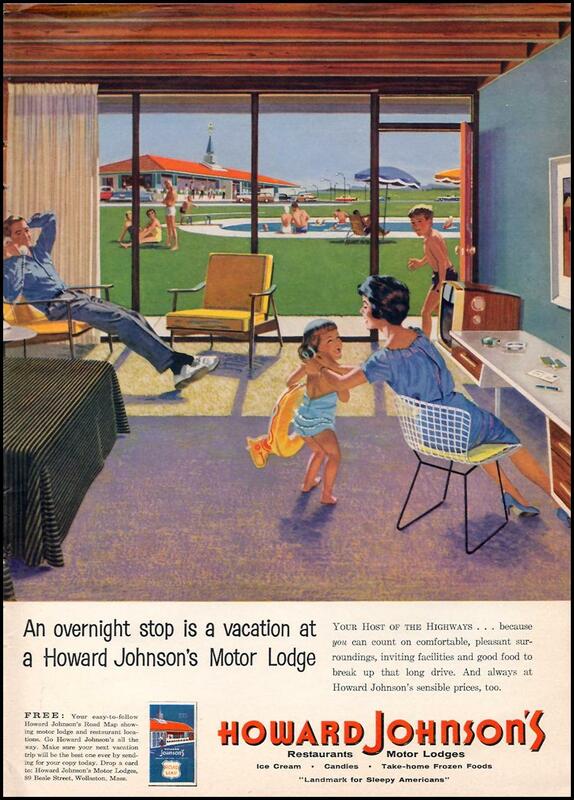 It’s hard to imagine now but Howard Johnson’s was once a big player in both the motel and restaurant business. The iconic orange roof could be seen from coast to coast. Now, only two restaurants are left leaving many older Americans pining for those days of their big fried clam platters, ice cream, and HoJo Cola. The motels are still around but only as one of the many brands absorbed into the Wyndham Hotel Group (who hold, among many others, Super 8, Days Inn, Ramada, and Travelodge)…and, to be honest, many of today’s Howard Johnson’s motel locations have been re-branded from higher-tier names as they aged and became too expensive to renovate in a first-class manner. While I have some good memories of Howard Johnson’s restaurants (including making a good running gag in Blazing Saddles), I don’t have many good memories of Howard Johnson’s as a motel. The worst one was when my family moved to Little Rock, Arkansas in 1972 and it was full of fleas. After sending my bosses to a Howard Johnson’s hotel in Salt Lake City earlier this year and hearing reports of it being run down with very limited services, this brand is probably best left in the past. Posted in 1950s, Retro/Vintage, TravelTagged 1959, advertising, Americana, illustration, motel, restaurantBookmark the permalink.